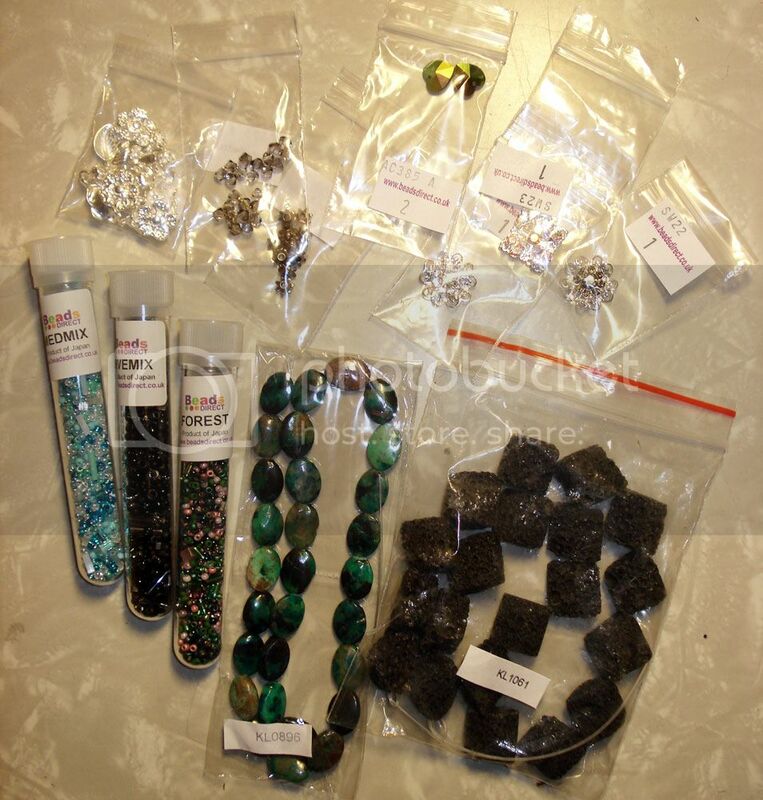 A couple of weeks ago, I received a very generous package of beading supplies from Beads Direct UK. They sent me some Swarovski crystal beads, gorgeous semi-precious beads, and a few tubes of mixed seed beads! 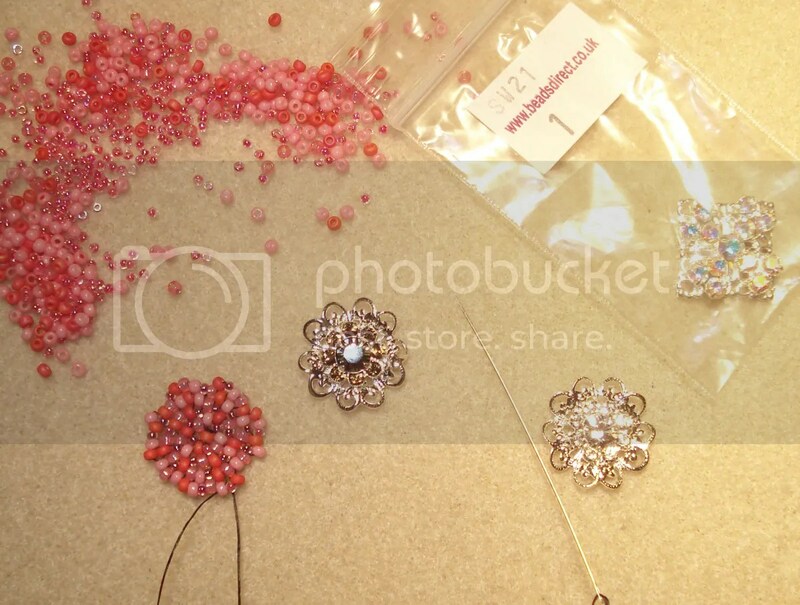 They also sent me a few beautiful Swarovski silver-plated filigree flowers that I wanted to use right away. So this weekend, I tried another one of my beading experiments. First, I flipped through one of my favourite beading books for inspiration – Beadwork Creates Beaded Rings. 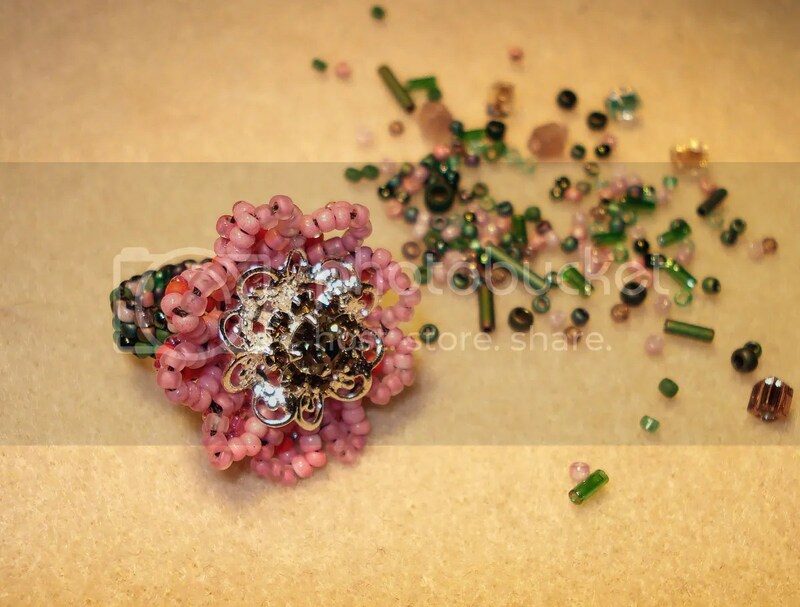 Then, I looked in my bead stash for a pink mix of seed beads. I created this mix when I was working on my beaded Banksy pink car. I’m not really a pink person, but I thought this colour would contrast the smoky gray Swarovski crystal filigree that I wanted to use. So, I began by creating a small peyote-stitched circle using black Nymo thread. When my circle reached the desired size, I stitched some pink petals around the edges. Since I wasn’t following any kind of pattern, I ended up with 9 petals! I don’t think any flower exists with 9 petals! Each petal may be slightly different than the others, but I decided that gave the beadwork character. 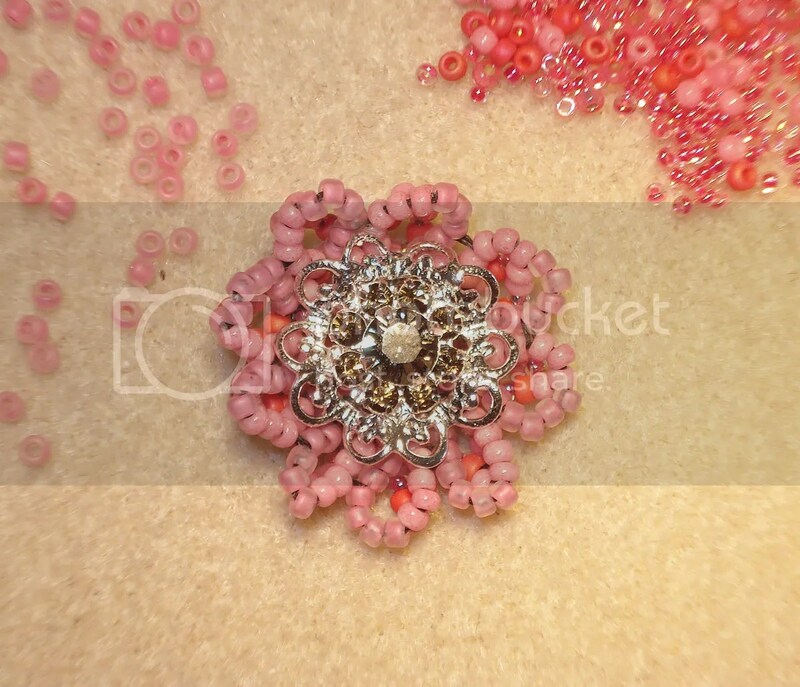 After I completed the petals, I carefully stitched the filigree into the center of the beadwork. Next, I used my new Forest seed bead mix to create the band for my ring. This was done with a new thread in a simple peyote stitch. I wove through the beads of the band several times to strengthen it. Then, I buried both ends of the thread in the beadwork. 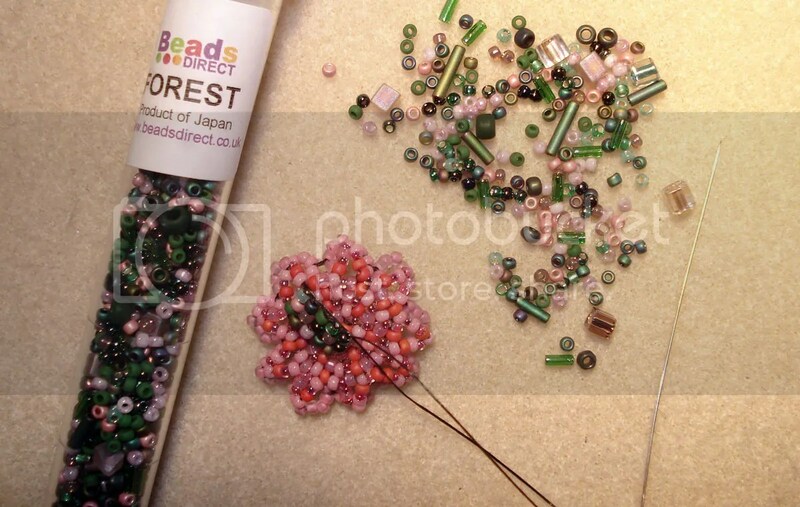 *Please note: I have received the above products free of charge from Beads Direct UK. This is my honest review of the products and I have not been paid for my endorsement as it pertains to the products received.